The Academy of Sacred Drama’s ambitious Year of Moses features the modern American premieres of three Italian-Baroque oratorios by Modenese librettist Giovanni Battista Giardini. The music of Vincenzo de Grandis, Giovanni Antonio Gianettini, and Bernardo Pasquini will be paired with contextual lectures and community receptions. 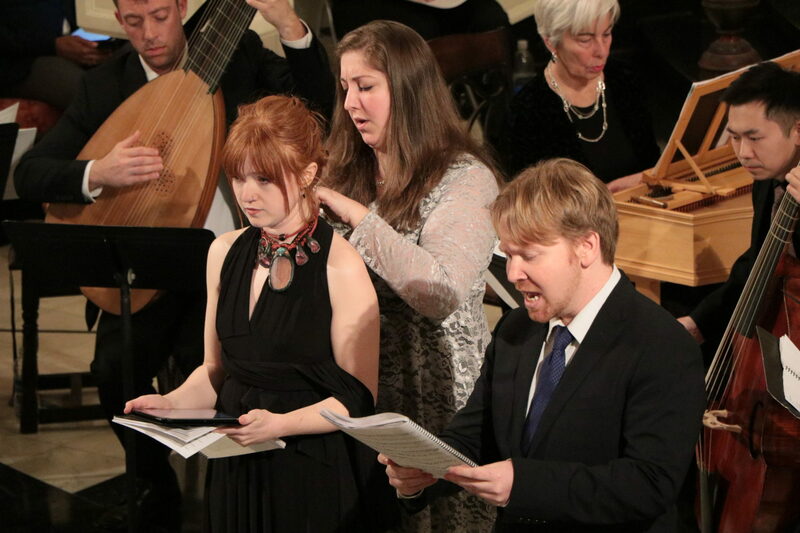 French-Baroque Moses cantatas will also be featured in an intimate musical evening. A tyrannical Pharaoh fears the growing power of the Hebrews and orders that all male new-borns are to be thrown into the river Nile. An intimate musical evening featuring Moses cantatas of the French Baroque by de Bousset and Jacquet de La Guerre. In this modern premiere, the prophet Moses learns to delegate and restores balance to his household and government. The Academy Players perform English instrumental music from Queen Elizabeth’s Golden Age through the Restoration. In an oratorio based on Exodus 18, Moses, his brother Aaron, and a narrator vividly recall the challenges and successes in the wilderness. The Israelites’ rejoice after the Red Sea closes over the Egyptian army in Linley Jr’s masterpiece. Presented by Big Apple Baroque.